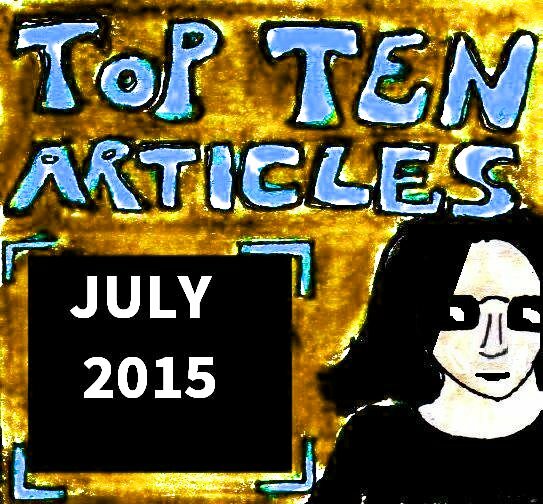 Well, it’s the end of the month and that means that it’s time for me to give you a list of links to ten of my favourite articles about art and/or writing that I’ve posted here over the past month. As usual, I’ll also include a few honourable mentions too. Mysterious noises? Annoying noises? 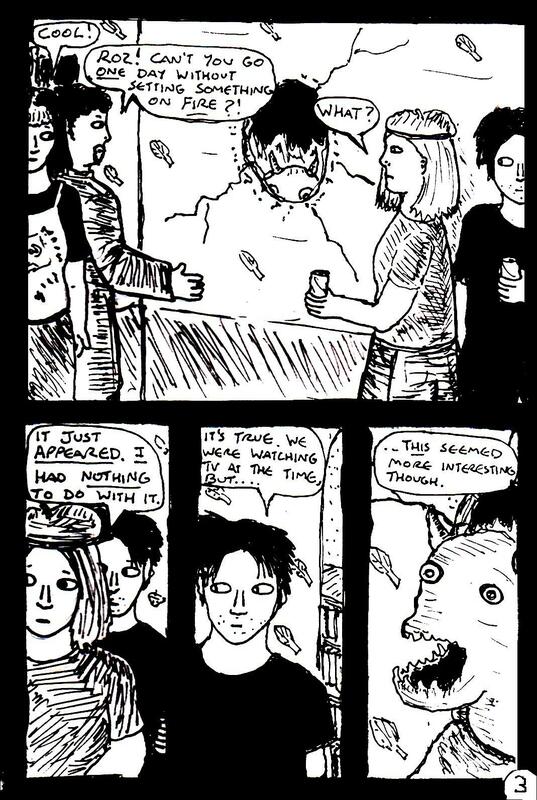 What else could it be but page two of “Diabolical Sigil”, my lazily unimaginative reboot modern re-imagining of my old “Damania” comics from 2012/2013? 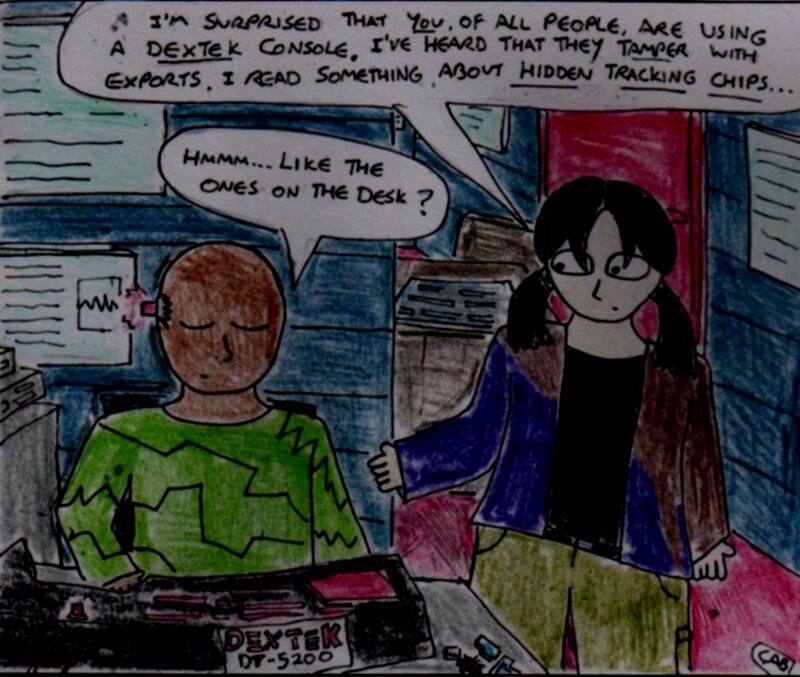 It’s interesting that, in this new comic – Harvey and Rox seem to have a slightly more antagonistic relationship than they did in the original comics. Still, it isn’t entirely unprecedented. 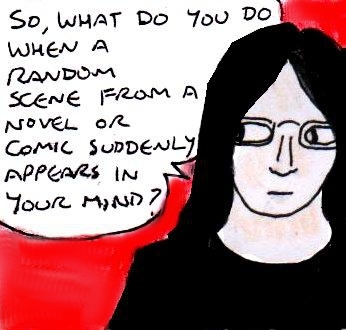 Although it’s been a while since I worked on anything even vaguely approaching a longer creative project, I recently ended up thinking things like “I should make a comic” or “I should write a novel” (or, more likely a novella). Of course, since I was also feeling fairly uninspired at the time, thinking these things just made me feel like a failure. But, rather than wallow in self-pity, I thought that I’d dissect some of these thoughts in case they can teach us anything about the creative process. Usually when I think “I should write a novel” or “I should make a comic“, one random scene from said comic or novel will sometimes randomly appear in my mind. It’ll be tantalisingly vague and I’ll have no real clue about the characters or even what happens before or after this scene. To give you an example of what I mean – when I briefly thought “I should write a novel“, my first idea was to write a medieval sci-fi story. It would be kind of like “Dune” meets “Babylon 5” meets “Game Of Thrones”. Naturally, a scene from the very beginning of this story appeared in my mind – it involved a member of the nobility on an alien planet murdering someone in cold blood. Unfortunately, this never got beyond scribbling the lines: ‘The thing that Lovian didn’t expect was the red blood. Humans have red blood, who’d have thought it?‘ in my sketchbook before realising that I had no clue about the rest of the story. Eventually, I ended up abandoning this idea – even though the scene stuck in my mind. I don’t know if this is because I tend to think more visually, but it’s often strange how the beginning of an idea for a story or a comic will often consist of one movie-like moment that flashes through my imagination. In the rare event that I decide to follow up on one of these ideas, I’ve often had to basically just sit around and wait for more of the story to reveal itself to me. Or for more of these disconnected scenes to appear in my mind, until I can find a way to work out useful character or plot information from them. In a way, trying to think of an idea for a story or a comic can sometimes be like a form of archaeology or treasure hunting. So, it’s ok if you can only think of a small part of your story to begin with – just keep thinking about it and more of it will eventually appear. Now with 300% more cynicism and 256 fewer colours! 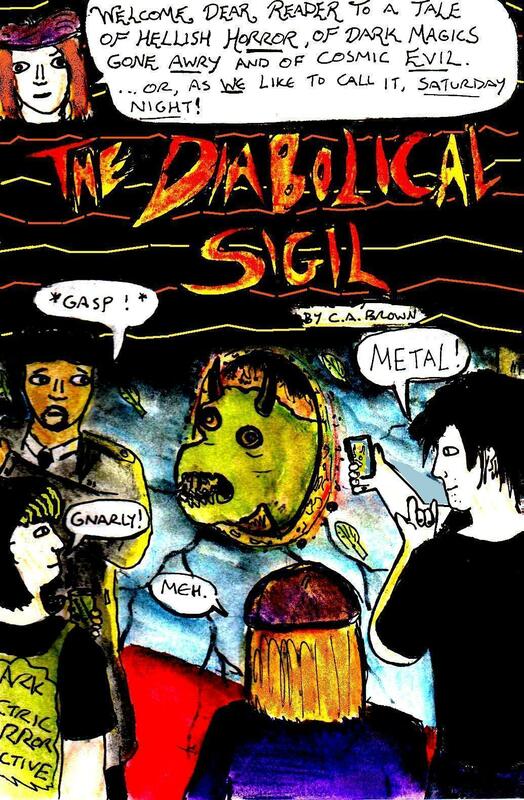 Yes, what else could it be but the first page of “Diabolical Sigil” – my lazily unimaginative, yet ‘so bad that it’s good‘, modern re-make of my old “Damania” Comics from 2011-2013? Stay tuned for page two tomorrow. 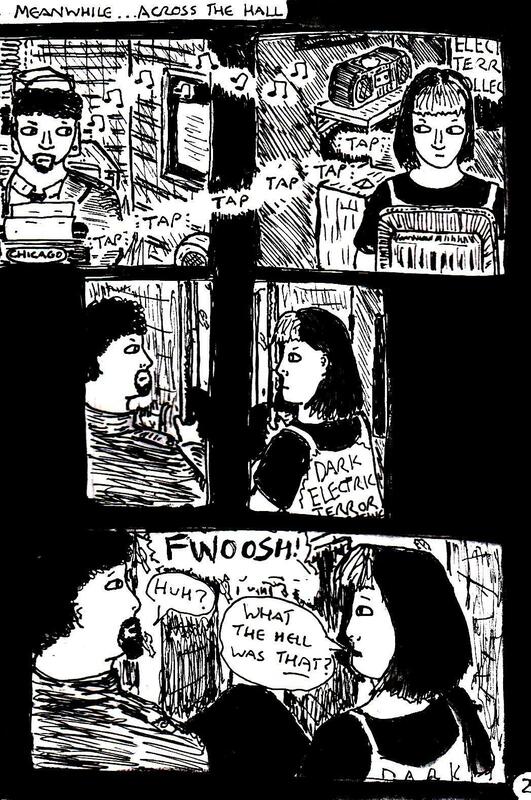 And, yes, the second panel originally featured an extremely cynical political cartoon (likening the UK Independence Party to the dystopic government from “V For Vendetta”), but I kind of wimped out at the last minute and ended up self-censoring. Sorry about this. As I mentioned yesterday, I haven’t reviewed a “Doom” WAD for ages Seriously, it’s been at least two or three weeks since I last reviewed anything “Doom”-related. So, since I saw some really intriguing gameplay footage from a WAD called “The Ghoul’s Forest 3” (in this Youtube video that I also linked to yesterday), I though that I’d find the WAD and check it out. I should probably also point out that I used the “GZ Doom” source port when playing this WAD. 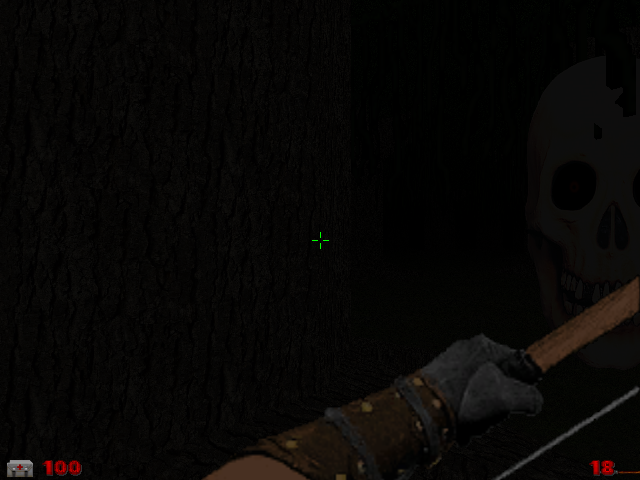 Because “The Ghoul’s Forest III” uses dynamic lighting, you will need to either use this source port or possibly ZDoom. The download also comes with a low-resolution version of the WAD (which I haven’t played) that may or may not work on other source ports. At the time of writing this review, I was only able to play this WAD for about 20-30 minutes- for reasons that will become apparent later. 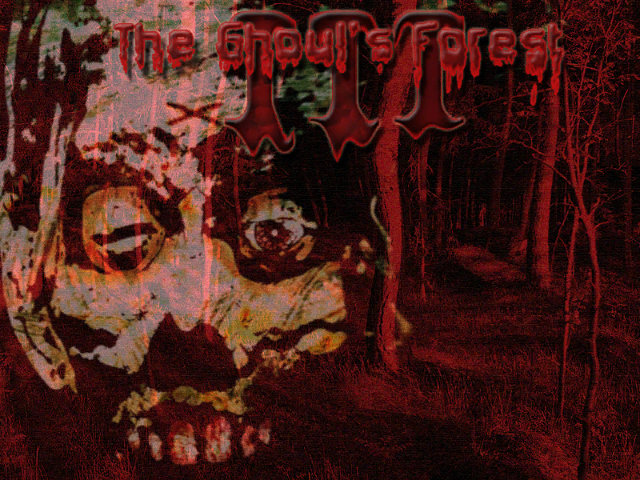 “The Ghoul’s Forest III” is a single-level WAD. You begin in the middle of a dark forest that is haunted by four ghouls that you need to kill in order to finish the level. And, in case that sounds too easy – you are only armed with a bow and a quiver of thirty arrows. One of the first things I will say about this WAD is that it is incredibly atmospheric and creepy. Seriously, the medieval weaponry and settings in this level make it look a bit like something from “Game Of Thrones”. Plus, if there’s one thing creepier than being alone in the dark, it’s not being alone in the dark. Unfortunately, it doesn’t really come across very well in this screenshot, but the trees near you are actually visible in the game. 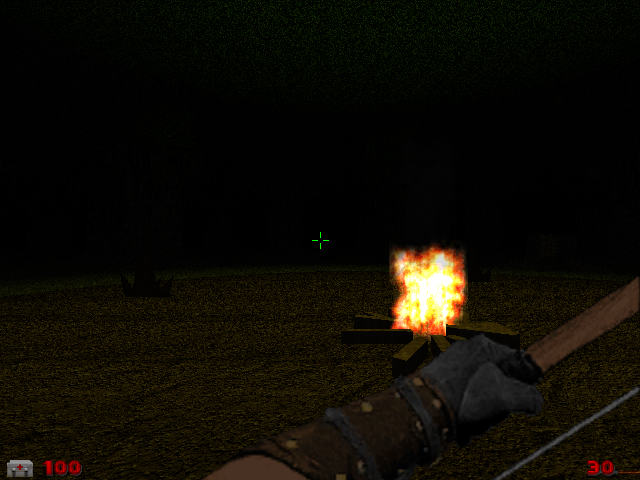 The gameplay in “The Ghoul’s Forest III” is, as you may expect, quite different to most other “Doom” WADs. It’s slow, suspenseful and occasionally quite frenetic. Each of the four ghouls you will encounter has slightly different characteristics and combat tactics. 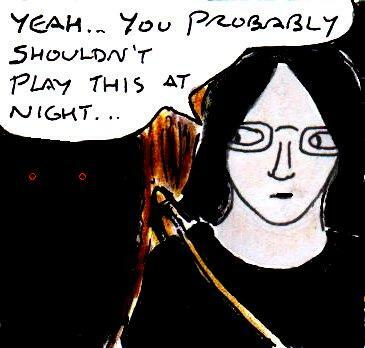 Usually, you will hear the ghouls a few seconds before you actually see them – so headphones are an absolute must when playing this WAD. One cool thing about this ghoul is the fact that, like all of the other ghouls, he has a really dramatic death animation that will briefly light up the surrounding area – as well as making you feel like a badass for defeating him. The second ghoul really isn’t that scary. He’s a fast-moving flying skull that bursts into flames when you shoot him a couple of times. 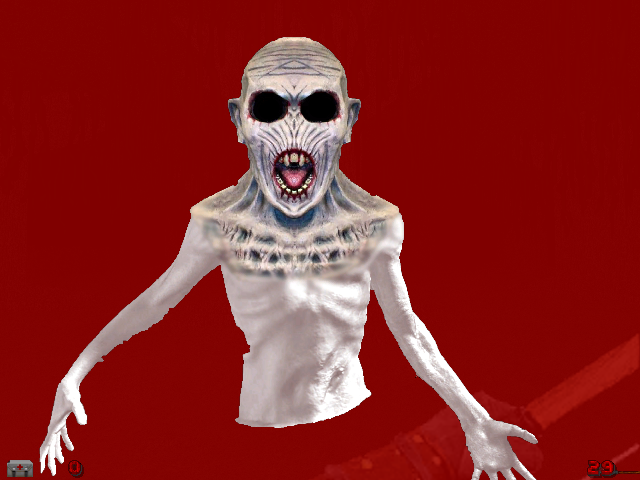 The third ghoul is fairly similar, except that he screams loudly, moves even more quickly and is almost invisible. This was one of the less creepy ones. I’m not sure what movie it’s from though. It was at this point that I was just too frightened to play any more. Yes, this WAD isn’t the scariest “Doom” WAD that I’ve ever played (that honour goes to “Lasting Light“, even though it’s technically a mod rather than a WAD), but “The Ghoul’s Forest 3” still frightened me – despite the fact that I was playing it during the day. I dread to think how much more terrifying this WAD would be if you played it in the dark. Still, one of the reasons why I don’t consider this WAD to quite be as frightening as “Lasting Light” is because of the bow and arrow. 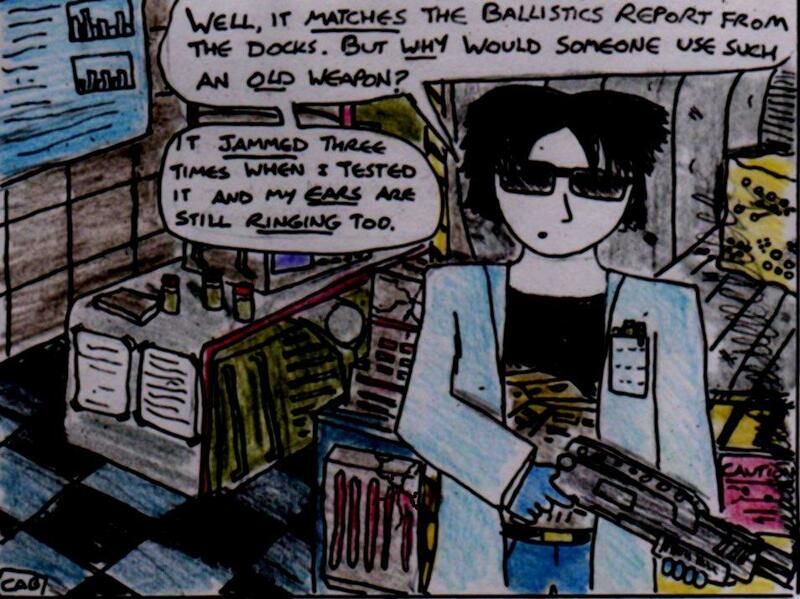 Yes, it’s a fairly weak weapon with a low rate of fire, but it’s still a weapon. 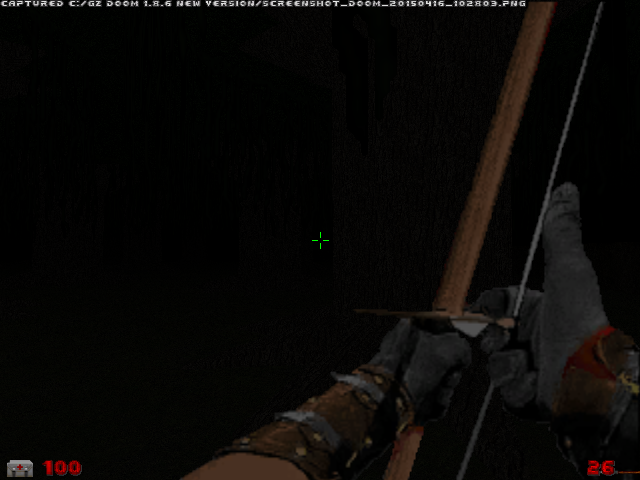 Yes, even having a bow and arrow makes this WAD slightly less scary than it should be. If you have a way of fighting back against whatever horrors are lurking in a game, then the game ends up being more about combat and tactics than about horror. As scary as this WAD is, it would have been about ten times scarier if you’d have had to hide from the ghouls rather than kill them. All in all, “The Ghoul’s Forest” is a really good horror WAD. It’s suspenseful, it’s dramatic and it’s surprisingly creepy. Just make sure that you play it during the day…. 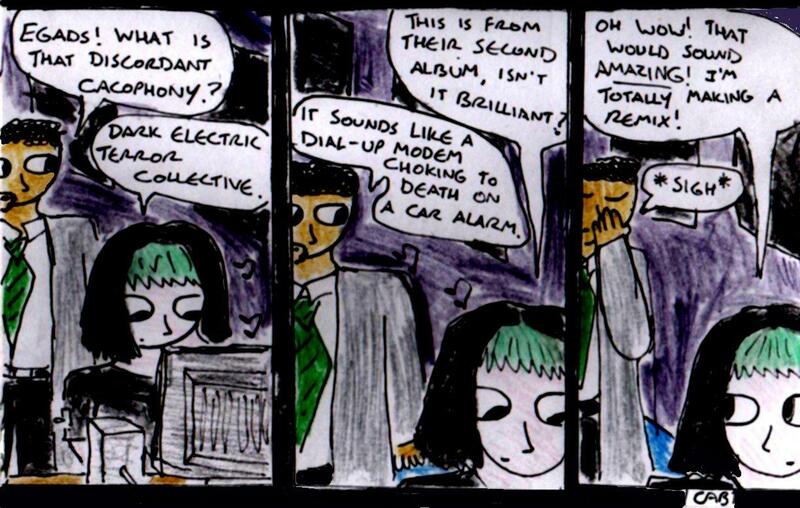 Well, it’s only a year or two late, but I’ve decided to make another “Damania” comic. This will probably be another short comic like the ones I made earlier this year (they can be read here and here) and the rest of the comic will probably be in black and white for time reasons. 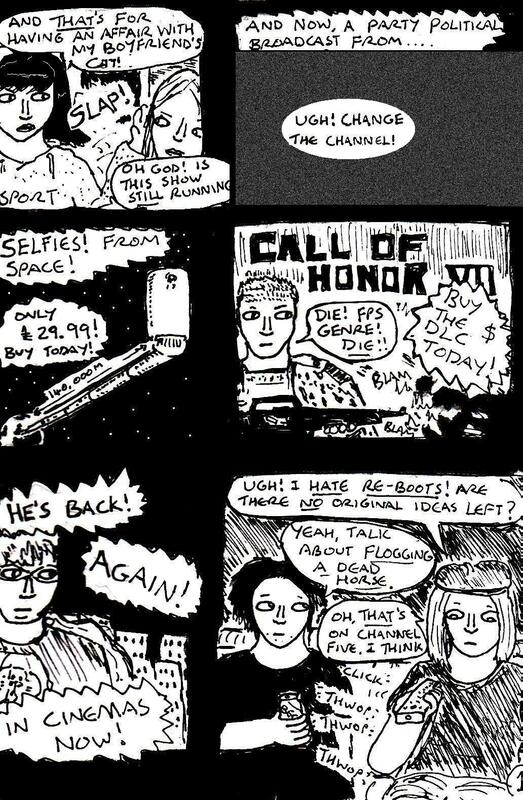 Still, it’s interesting to return to this old comic series of mine that even I had almost forgotten about..